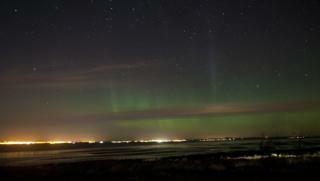 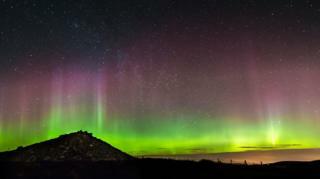 Stargazers across Scotland photographed the Aurora Borealis on Wednesday night. 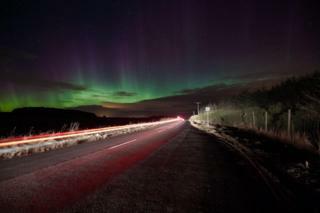 Scotland is one of the best places in the UK to observe the Northern Lights, which are related to activity on the sun. 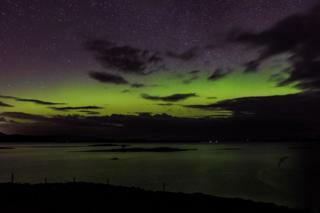 On Wednesday night, the aurora was visible from the Isle of Skye, as well as Peterhead in Aberdeenshire and North Berwick in East Lothian. 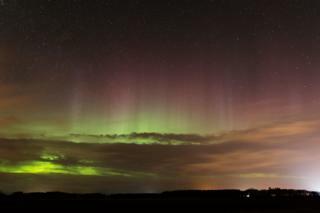 Lancaster University's AuroraWatch UK said that 2017 had started quietly for aurora watchers, but overnight on Wednesday and Thursday the UK received "a whopping 13 total hours of elevated geomagnetic activity". 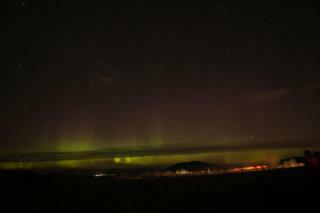 Five of those hours had activity strong enough to trigger amber-level alerts to the displays. 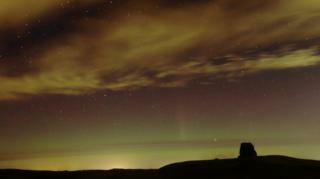 Amber is AuroraWatch UK's second highest alert for chances of seeing the Northern Lights. 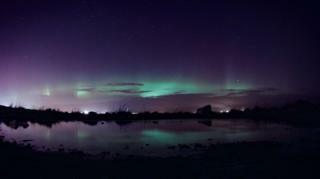 The rise in the activity was due to what is known as a negative polarity coronal hole high-speed stream. 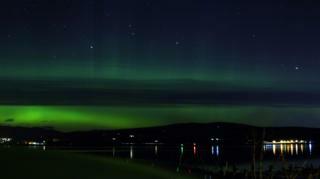 BBC Radio Scotland's Brainwaves programme has looked at the science behind the Northern Lights, a phenomenon that some scientists believe could become harder to see from Scotland.